The Academic Senate spoke to recent Faculty Research Lecture recipient Steve Morin, PhD, to learn how he initially became interested in scientific research, as well as what still drives him in his field. After a decade in Washington DC, Dr. Morin also provided his insights on the future of Federal funding of scientific research under the Trump administration. Not many can claim a birthplace on the same street as the American poetess Emily Dickinson. But for inveterate world traveler Steve Morin, PhD, Emeritus Professor, within the UCSF Department of Medicine, that’s where his interest in academics began. “I have been to all fifty states, all provinces in Canada and over 60 countries,” Morin said. Looking back over his career, scientific and academic inquiry was always at the forefront. “I think I was initially supposed to be cleaning rat cages, but after a couple of years I started running statistical analysis research, and that got me interested in academic research,” Morin said of his first job at Amherst College at age 16. Morin began that career as a Professor at California State University San Bernardino. In the early 70’s, he focused on destigmatizing homosexuality as a mental illness by having it removed from both the Diagnostic and Statistical Manual and the American Psychiatric Association’s official list of mental disorders. At the time of Morin’s efforts, the American Psychological Association had zero representation from the LGBTQ community, meaning that all scientific research about that community was focused on it as an illness. Professor Morin also strove to initiate creation of an association of lesbian and gay psychologists. After five years, he moved to San Francisco where he continued to advocate for the LGBTQ community as a psychologist and through publishing in psychology journals. By the end of 1981, 270 HIV cases had been diagnosed and had claimed the lives of 121 individuals. During this time Morin began working with the health department on the STOP AIDS Project in California to prevent HIV transmission. Eventually, the program’s public health framework focus on education and prevention behaviors in high risk populations spread across the nation, and around the world; it came to be known as the Morin Model. Professor Morin began his UCSF career in 1984 as an assistant clinical professor. “It became clear during this time that we needed to bring behavior change to address the AIDS epidemic, which led to the founding of the Center for AIDS Prevention Studies [CAPS] in 1986,” Morin said. In 1987, Morin relocated to Washington, DC, to work for Representative Nancy Pelosi as the first full-time congressional staff member focused on HIV treatment and prevention policy. This included the AIDS Federal Policy Act of 1988, the AIDS Health Care Financing Act of 1988, and the Comprehensive HIV Prevention Act of 1993. In his transition from public policy back to academia, Morin saw promise in CAPS’ potential. 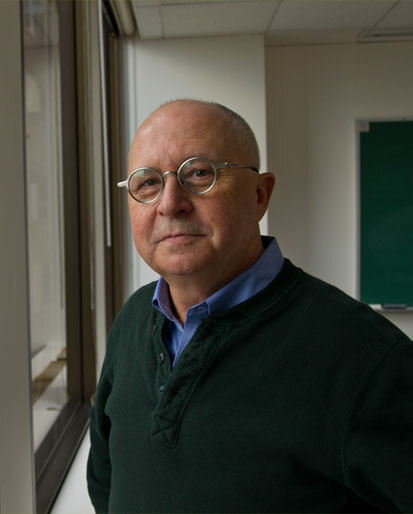 During his decade long role as the director of CAPS, the largest of the AIDS centers funded by the National Institute of Mental Health (NIMH), Morin coordinated HIV policy research and mentored students, who have gone on to have successful careers at institutions of higher learning, public agencies and government organizations. Morin also worked with the HIV Prevention Trials Network Community Working Group as the principal investigator in Zimbabwe and lead intervention clinical trials in Zimbabwe, South Africa, Tanzania and Thailand. Morin’s extensive work with policy research makes him hopeful for the future of Federal research funding, despite last year’s campaign rhetoric. He served on the Clinton-Gore Presidential Transition Team for the Department of Health and Human Services in 1994, and chaired the transition for the Centers for Disease Control and Prevention (CDC) and the behavioral institutes at the National Institutes of Health (NIH). That said, Morin had hoped to interact with another Clinton administration for the next four years. In the Trump Administration one of the possible changes is a repeal of the Affordable Care Act (ACA), more commonly known as Obamacare. This has broad implications, which vary, based on what ACA might be replaced with. Recent news articles have cited reduced coverage of individuals with pre-existing conditions and having young adults remain on parents’ insurance plans as potential changes. While ACA remain in discussion, another concern is the lowering of Federal research funds. The short-term Continuing Resolution kept funding for federal programs and services through April 28, 2017, but it included funding for the 21st Century Cures Act. This House-passed Act will change the way the FDA works with pharmaceutical companies as well as boosts funding in medical research including Alzheimer’s, cancer and personalized medicine. However, this bill would only give a one percent increase to NIH. “This means there would be no new money for issues like HIV research, and this comes at a time when we have an increased interest in care research and HIV prevention studies, so that budget forecast is disappointing,” Morin said. Regardless of how Morin feels about the presidential election results, he is not backing down.